As most of you know, I have been on the road again, touring up and down the East Coast for this first leg of the Greatest Hits tour. I have always had a love/hate relationship with touring. I find it to be the best and most difficult times of my life all at once. But in reality, it’s just a lot of schlepping. It’s packing and unpacking a bag, living out of a suitcase, driving all night and sometimes all day to get to a venue just in time to shower, do sound check, then it’s off to the races with interviews and getting awake enough so you feel ready for the show. Then it’s piling back on a bus and trying to bring yourself down enough so you can fall asleep at a decent hour while jiggling around on a large metal bus that rattles and moans like a vessel being tossed about at sea. I have always found touring to be exhausting. I'm sure it’s my own fault - I don't plan days off! I like to keep costs down and tours short by just going in and playing every night, but it certainly puts a crimp on the sightseeing. As for the shows, that part has always been the best part of touring. Your sweet faces still touch me every night as you call out songs old and new... I am forever in love with singing live and feeling the warmth of all your heartbeats as we all become one beating heart, bleeding and beaming together. 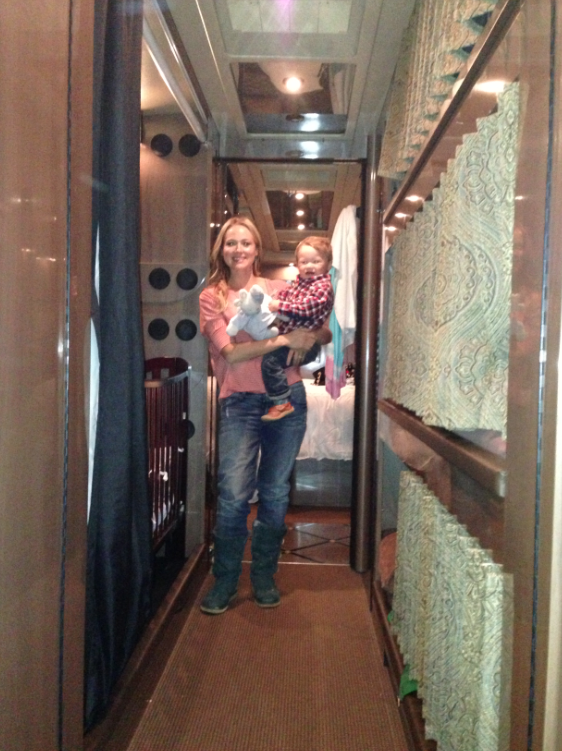 Read more about life back out on the road and the fun I had with Kase by becoming and EDA. I give away exclusive downloads at the beginning of each month for all the Club EDA (Every Day Angels) members. Sometimes Alan will find old recordings and their backgrounds, or my friend West will share some photos throughout my career, or I'll draw a picture, or like today - a blog and pictures just for you! You can get the rest of the story by signing up for FREE right HERE.